Coedmor Self Catering Holiday Cottages01341 430332work Self-cateringLocated on the edge of the Snowdonia National Park, Coedmor Cottage and Coedmor Barn stand in an acre of woodland and landscaped gardens overlooking the Mawddach Estuary with magnificent views to the Cadair Idris mountain range. 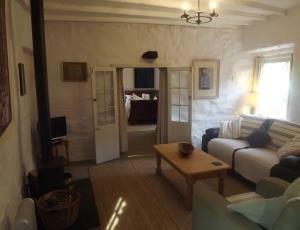 Coedmor Harbour Cottage is a traditional fisherman's cottage situated in Barmouth. A perfect location for a romantic break with miles of sandy beaches and cosy inns on your doorstep. Cader Cottage is located in the heart of the historic market town of Dolgellau, at the base of the Cadair Idris Mountain Range. This traditional 3 storey stone built cottage is an ideal place for that Welsh Retreat. We have four units newly renovated and furnished to a high standard, the cottages provide comfortable accommodation for 2/3 people throughout the year. Coedmor Barn and Cottage set in the grounds of the main house. Are fabulous spots for bird and wildlife watching. The gardens are mature semi wild and we try to attract a variety of wildlife. Just outside of Barmouth a stunning little seaside town famous for miles of sandy beaches. Many Fabulous walks only a short car journey away. Set in the back drop of the Mawddach Estuary and the Cadair Idris Mountain range.